Youngest designer being 11 years old…. Wow!! 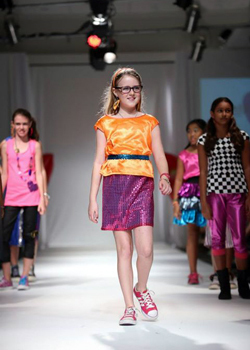 An eleven year old student of International School Suva is the youngest designer who will be taking part in the 2015 Fiji Fashion Week Kids Show at the Vodafone Arena. Designer Jade Cave says space, stars, galaxy and futurism inspire her Galaxy Collection. Cave who is originally from South Africa says she joined the show because of her passion for designing. Cave says she wants people to know that no matter how young a person may be, they can still accomplish their dreams. Something motivational for all ages…if she can do it, you can to!! and we definitely wish her all the best! !